Suffolk County Police today arrested an Amityville man for driving while intoxicated and striking a police car with his vehicle several times early this morning before a pursuit by officers. Commack, NY - January 4, 2015 - Suffolk County Police today arrested an Amityville man for driving while intoxicated and striking a police car with his vehicle several times early this morning before a pursuit by officers. A Fourth Precinct sergeant initiated a traffic stop on a 2008 Toyota Avalon in a parking lot on Route 25 and Kings Park Road in Commack at approximately 4:05 a.m. The sergeant stepped out of his vehicle and the driver, Wymann Wiggins, backed into the police vehicle several times before he fled the scene. The suspect was located a short time later again on Route 25 in Commack and officers attempted to pull Wiggins over when he fled. Officers deployed stop sticks on Route 25 and Manor Road, puncturing the tires on Wiggins' vehicle. A short time later, Wiggins crashed on Longfellow Drive in Huntington Station. Wiggins fled on foot and was arrested by Second Precinct Officer Justin Holloway after a foot pursuit. Wiggins was charged with Driving While Intoxicated, a felony, Unlawful Fleeing a Police Officer, Leaving the Scene of an Accident, Resisting Arrest, Criminal Mischief, four counts of Criminal Possession of a Controlled Substance 7th Degree and one count of Criminal Possession of Controlled Substance 3rd Degree. 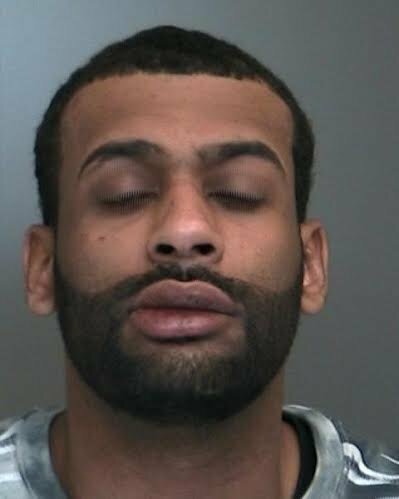 Wiggins, 26, of Juniper Place, will be held overnight and is scheduled for arraignment at First District Court in Central Islip on January 4. Subject: LongIsland.com - Your Name sent you Article details of "Amityville Man Arrested for DWI after Striking Police Car"